For as long as I can remember, I’ve loved everything surrounding weddings. The attire, decor, venue and especially the most important part, LOVE! I’ve interned at multiple business involved in the wedding industry, everything from planning events to doing social media and PR for wedding brands. Because of my experiences, I pretty much have my entire wedding planned out already.. except for the groom! But that hasn’t stopped me from dedicating multiple Pinterest boards to my future big day! One thing I’ve always known is that I need books involved in my wedding in some way. My dream wedding would look a lot like the amazing Tahereh Mafi and Ransom Riggs’ nuptials, filled with the most gorgeous incorporation of literature I’ve ever seen! 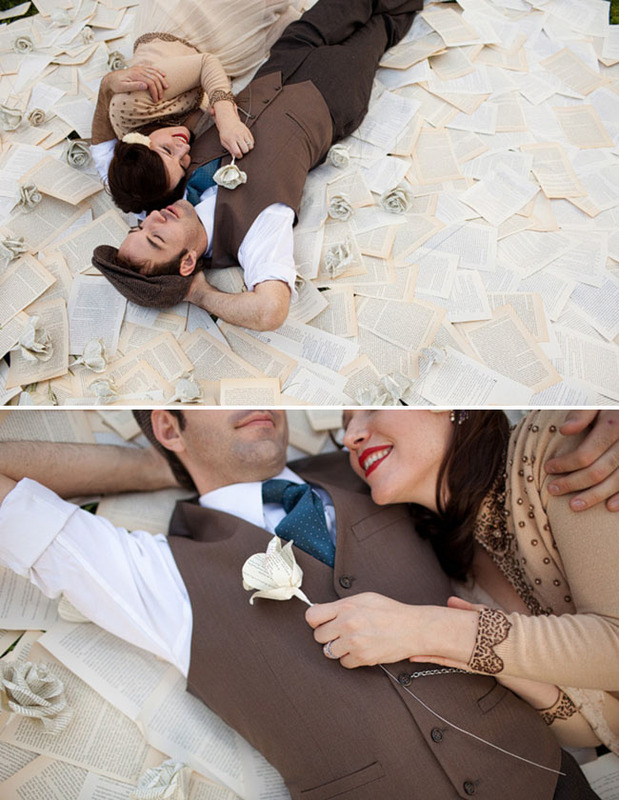 Over the next couple weeks, I will be sharing inspiration for each part of a literary-themed wedding! Let’s start at the very beginning: Engagement Photo Shoot! 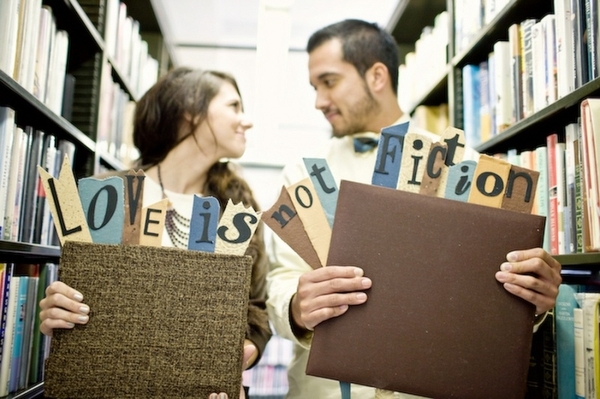 From book pages to photo shoots in the library, literature can easily be incorporated into an engagement shoot. 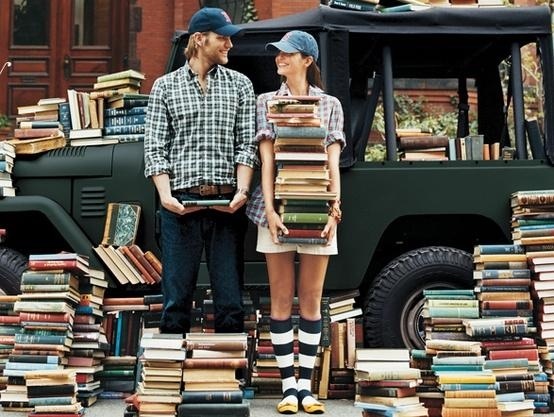 Add tiny details, like vintage books on a table, or go all the way and spend entire afternoon in the book stacks. You know what they say about what goes on in the book stacks! DIY touches are always welcome in the bookworm community! Love the non-fiction reference. 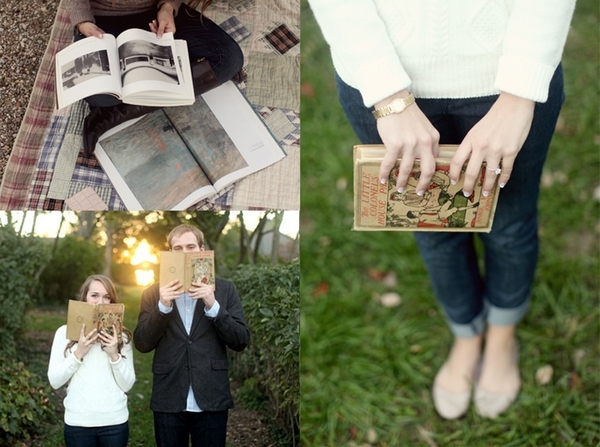 Did you have a literary inspired engagement photo shoot? I would love to see the gorgeous photos! Happy Reading!